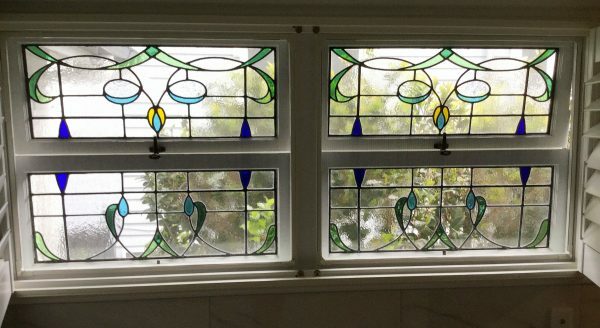 These bathroom windows have two of our screens on them, and the shutters work well also. There was not much room to have another kind of screen on these special windows, and the customer was scared to screen her lovely leadlights, but our screens works beautifully with the windows and shutters. Twenty-six years of experience!